Ensures consistent and reliable support for every service request. Our technicians prepare in advance for any diagnostic or installation requirement. Experienced technicians diagnose, repair, maintain, and install digital equipment. Our highly qualified technicians follow our Support2Go Five-Step Service Process and our structured Support2Go Service Report guidelines to ensure that all service work meets our high quality standard. Our technicians prepare in advance to address any diagnostic or installation requirement. We arrive on-site with the diagnostic and repair equipment needed to complete the job. Support2Go ensures you look good to your client. We are thorough and efficient at technical support, maintenance, repair, and installation. Our technicians dress in business casual and maintain strict confidentiality, representing themselves as your company’s service provider. Clients depend on you to keep their business running smoothly. We care for your client as if caring for our own. For your peace of mind, rely on Support2Go to complete every service call promptly and according to your specifications. Service Level Agreements are TOP priority at Support2Go. 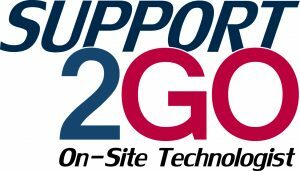 Support2Go is a well-established local technology resource serving the greater Nashville area since 1999. Insured, certified, and properly credentialed, our technicians offer a broad range of technical expertise. or email us at support@support2go.com to get started today! Our Five-Step Process ensures consistent and reliable support for every service request. Here is how it works.We accept your work ticket and assign a Support2Go technician.Our technician contacts you to introduce himself and establish a point of contact with your company, to verify the support request, to verify the appointment time, and to determine the on-site contact person.Our technician arrives on location at the appointed time, notifies the on-site contact person, notifies your contact person, and begins the service.Our technician completes the service work completes a Support2Go Service Report, and processes your paperwork as needed.Our technician confirms your client’s satisfaction and reports the results to your contact person.Our technicians carry smart phone devices to provide regular status updates via E-mail, Text or a phone call. This keeps you current with the status of your service request. Our Five-Step Process ensures consistent and reliable support for every service request. 1. We accept your work ticket and assign a Support2Go technician. 2. Our technician contacts you to introduce himself and establish a point of contact with your company, to verify the support request, to verify the appointment time, and to determine the on-site contact person. 3. Our technician arrives on location at the appointed time, notifies the on-site contact person, notifies your contact person, and begins the service. 4. Our technician completes the service work, completes a Support2Go Service Report, and processes your paperwork as needed. 5. Our technician confirms your client’s satisfaction and reports the results to your contact person. Our technicians carry smart phone devices to provide regular status updates via E-mail, Text or a phone call. This keeps you current with the status of your service request. Nashville, TN On-site technical support service. Copyright @2018, All Rights Reserved.